These Six Constant Mitzvot, along with the additional mitzvah to emulate G-d, really define the Jewish relationship with G-d, and are the goal of all of Judaism (as the Ramban explains in his commentary at the end of Parshat Bo). The fact that they are all identical for men and for women conveys a very important message: There is no difference whatsoever between the genders when it comes to the ultimate goals of Judaism. 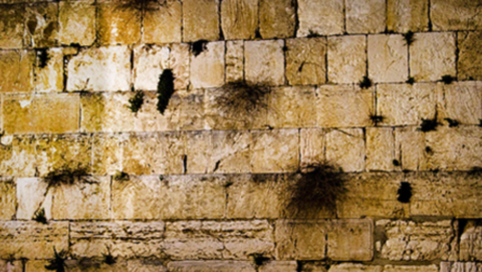 It is merely the means to achieve these goals (i.e., some of the other mitzvot like tefillin and tzitzit which help us to connect with the Six Constant Mitzvot and the mitzvah to emulate G-d) which are somewhat different. An interesting question to consider is — Why would this idea of there being certain differences between men and women (i.e., in their means to achieve these identical goals) bother anybody? This may be based, in part, on a seminal event in recent American history. For decades, the U.S. had separate school systems for white and black children, claiming that although the schools were separate, they were equal. In 1954, the U.S. Supreme Court declared (in the landmark case of Brown vs. Board of Education of Topeka, Kansas) that there was no validity to this concept of “separate but equal,” because separate necessarily means unequal. While there is widespread agreement that the U.S. Supreme Court was correct in ending racially segregated schools, an important question for us to consider is whether there is any situation in which this principle of “separate but equal” does apply? Is it really the case that separate always implies unequal? In the case of men and women in Judaism, for example, where they have somewhat separate paths, but the same ultimate goals, could it be that the concept of “separate but equal” is actually valid? The determining factor in whether or not the concept of “separate but equal” is appropriate to apply to two groups is whether those two groups are themselves similar or different. As a very trivial example, think about the fact that cats and birds eat different types of food. Should we try to force cats to eat bird food, or birds to eat cat food? Or perhaps we should search for some new food which happens to be good for both cats and birds. All of this is obviously silly. We realize that cats are quite different than birds, and, therefore, it makes sense that they would each need a different type of food. This is the critical difference between the “separate but equal” that was rejected by the U.S. Supreme Court, and the “separate but equal” of how the Torah relates to men and women. Since the U.S. Supreme Court was dealing with white and black children, who are essentially the same, they were clearly correct — the segregated schools gave an advantage to the white children over the black children. In the case of men and women, however, the Torah recognizes that they do have some inborn differences, and are not merely socialized to be different. 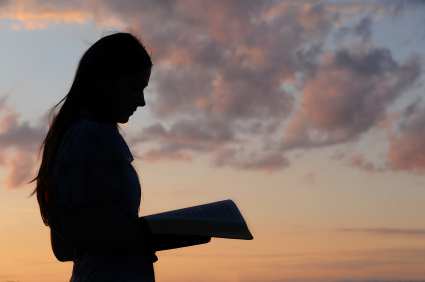 Since the Jewish perspective is that there actually are some inborn differences between men and women, it should not surprise us that the Torah has some distinctions in their mitzvot. And these distinctions are, in fact, necessary to help each of them to arrive at the same ultimate goals. To continue and read the full article click here. Rabbi Asher Resnick serves as a senior lecturer at Aish Hatorah’s Executive Learning Center, and is a senior training lecturer for Aish’s Rabbinical Ordination program. As a close student of Rav Noach Weinberg, zt”l, he developed a special expertise in addressing fundamental issues in Judaism, as well as in bringing classical texts to life. As a bereaved parent, Rabbi Resnick’s extensive writings on loss, suffering and trauma provide a sensitive Jewish perspective on coping with these fundamental life cycle issues. 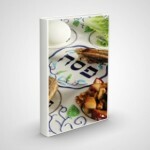 NLEResources.com is happy to highlight several essays over the coming months featured on his website JewishClarity.com. The Modest Way, Women & the Mitzvot Series (Online Book) The Mitzvot: Why They are Detailed Women on the Bus A Note from a Charedi Rabbi to The Women of the Wall A Film Competition to Inspire Jewish Women!